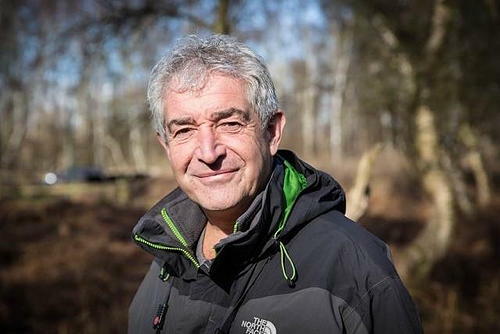 The Environment Secretary has announced Tony Juniper is the preferred candidate for Chair of Natural England. The Secretary of State for Environment, Food and Rural Affairs, Michael Gove, is pleased to announce that Tony Juniper has been selected as the Government’s preferred candidate to take up the post of Chair of Natural England, the Government’s advisor for the natural environment in England. Tony Juniper has been selected following a rigorous process which was conducted in accordance with the Ministerial Governance Code on Public Appointments. The Secretary of State has invited the Environment, Food and Rural Affairs Select Committee to hold a pre-appointment hearing and to report on Tony’s suitability for the post. Pre-appointment scrutiny is an important part of the appointment process for some of the most significant public appointments made by Ministers. It is designed to provide an added level of scrutiny to verify that the recruitment meets the principles set out in the Governance Code on Public Appointments. Pre-appointment hearings are held in public and allow a Select Committee to take evidence from a Minister’s preferred candidate before they are appointed. The Select Committee will publish a report setting out their views on the candidate’s suitability for the post. Ministers consider the Committee’s views before deciding whether to proceed with the appointment. All appointments are made on merit and political activity plays no part in the selection process. However, in accordance with the original Nolan recommendations, there is a requirement for appointees’ political activity (if any declared) to be made public. Tony has not declared any significant political activity in the past five years. Natural England plays a key role in delivering the environmental priorities of central government. Its general purpose is to ensure that the natural environment is conserved, enhanced and managed for the benefit of present and future generations, thereby contributing to sustainable development. Natural England is a non-departmental public body, set up under the Natural Environment and Rural Communities Act 2006. Tony Juniper CBE is currently Executive Director for Advocacy and Campaigns at WWF-UK, President of Royal Society of Wildlife Trusts, Fellow of the University of Cambridge Institute for Sustainability Leadership and former advisor to the Prince of Wales. He began his career working as an ornithologist with Birdlife International and for many years worked with Friends of the Earth, most recently as Executive Director and Vice Chair of Friends of the Earth International. In 2017 Tony was recognised for his services to conservation with a CBE in the Queen’s Birthday Honours.